When smugglers pursue missionary nurse Nina Truman, her only hope of escape is Shaw Wilder, a man who blames her for his sister’s death. Should she flee into the Guatemalan jungle with Shaw? Or stand and face the enemies who seek to destroy her? Nina’s choice may leave them both imprisoned in a jungle from which neither will escape. “Wow. I stepped into danger on page one and by the end of the story needed blood pressure medication. Exhilarating and thrilling, the ride left me breathless, the characters grabbed my heart and the villain deserved what he got. Does it get any more satisfying than that? Highly recommend this book.” –Lynette Eason, best-selling, award winning author of the Deadly Reunions series. Peril, adventure and an impossible escape twisted together and thrown into an exotic setting—what more could you want in romantic suspense! 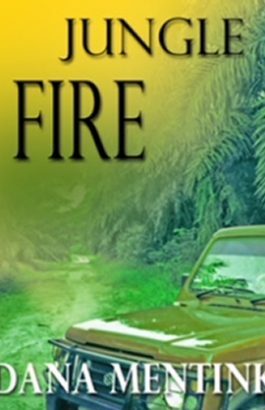 Jungle Fire captured my attention from the start and carried me away to a world Dana Mentink aptly depicts with strong writing and an eye for detail. Escape with the suspenseful read of the summer! –Elizabeth Goddard, award-winning author of Treacherous Skies and Riptide. I must admit that I was not too sure about this book at first. But then I started reading it! Wow! I started reading it and was intrigued and then it took me off on a breath taking ride through the jungles of Guatemala fighting for my breath each page! Click here to read the full review.